More women are needing caesarean sections or other medical assistance when giving birth at Wigan Infirmary. 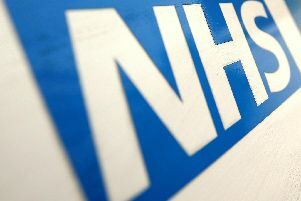 In December last year, 201 births were recorded at Wrightington, Wigan and Leigh NHS Foundation Trust, NHS figures show. Around 86 of them - or 43 per cent - required some form of intervention from doctors or midwives, compared to 39 per cent three years ago. Instrumental deliveries, when forceps or a vacuum extractor are used to pull the baby out, accounted for 20 births. Doctors also carried out pre-planned caesarian sections 30 times, and emergency caesarians on 35 occasions. This means C-sections accounted for about 32 per cent of births at the trust. In December, C-sections were used in 30 per cent of births. “We’re seeing more women with obesity, diabetes and hypertension, which makes pregnancy and delivery more complex,” she said. “It’s definitely a demand on resources. “It’s a different way of working with women and there’s more machinery to look after. Women who attended their first scan in December were aged 28 years old on average, lower than the national average of 30. Of those who had their Body Mass Index recorded, 22 per cent were overweight and 30 per cent were obese.